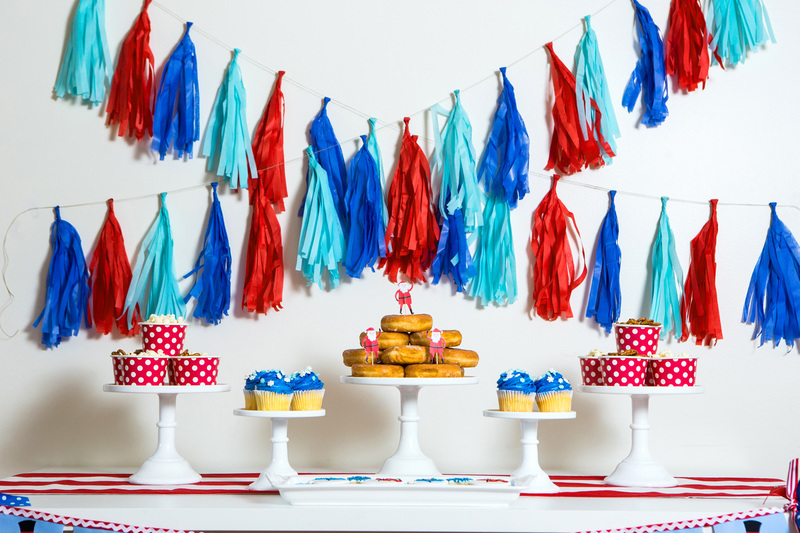 Farrar starts decorating for any party with the snack table. She collects cake stands and other serving pieces and, although she uses bright colors for accents, her mainstays are all in neutral colors so they can be used for any occasion. You’ll notice that the same white cake stands look fresh and different for each of her holiday party themes! 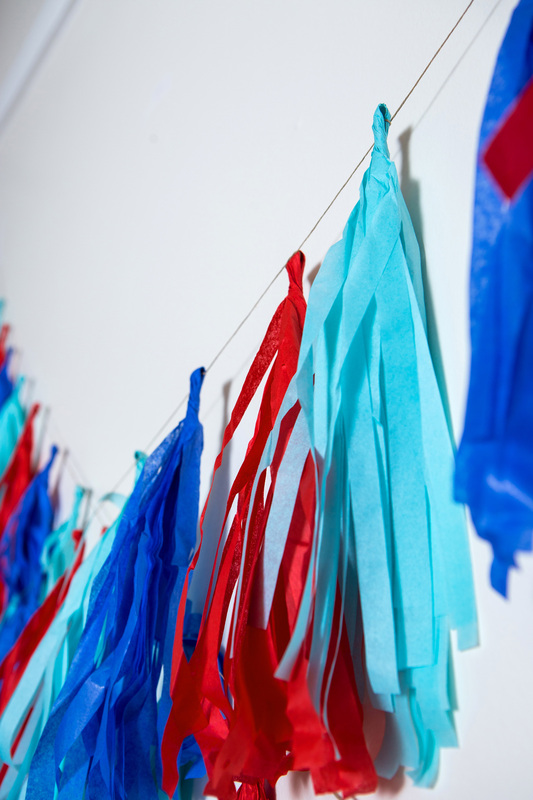 For a “frosty” look, Farrar uses blue decorations and snacks, and a tassel garland that can be found on Etsy or made with tissue paper, ribbon, scissors and glue. Simply fold the tissue paper in half and cut in strips, leaving about 1 inch uncut at the fold. Once all strips are cut, unfold the tissue and cut in half so you have two sheets with fringe. Repeat the steps for as many tassels as you want, then fasten them to thin cord or ribbon and hang them from the table, mantle or wall. Farrar uses her neutral cake stands to layer in snacks to provide both decoration and treats. A donut tower lends drama to the tablescape with minimal effort and also mimics the giant snowballs that stack to make a snowman. Pretzels and popcorn aren’t out of the ordinary for a family gathering, but when they are in cups that are decorated for the season, they become a special treat. Buy festive paper cups or let the children decorate plain cups with markers before filling them with popcorn and pretzels during the movie. 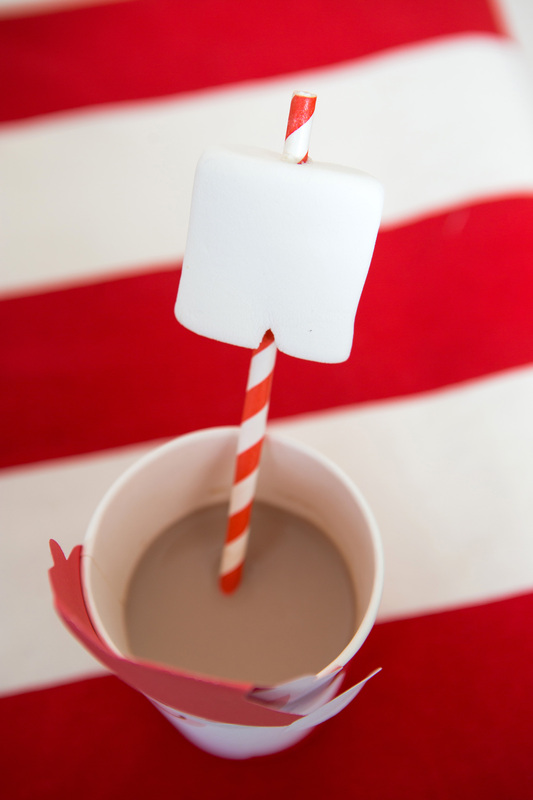 Slide straws through marshmallows for a “snowball” served with hot chocolate. 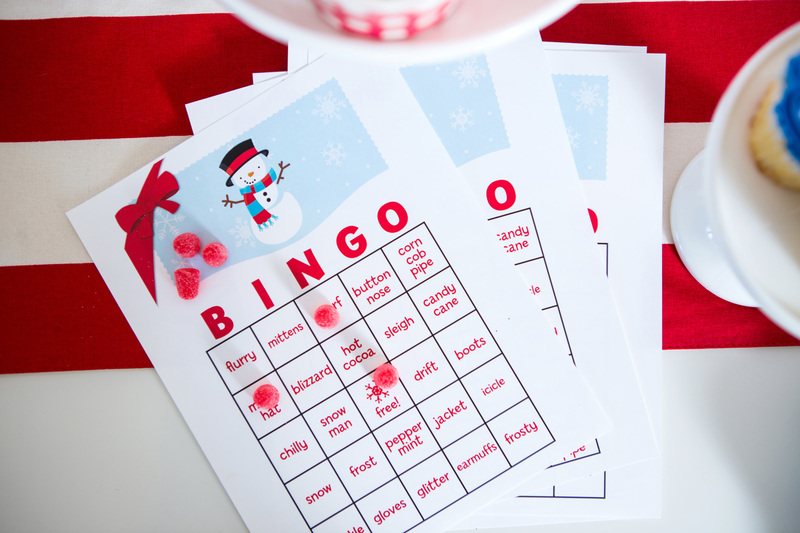 A printed bingo game provides an easy, festive activity for all ages. Use gumdrops as chips for extra fun. 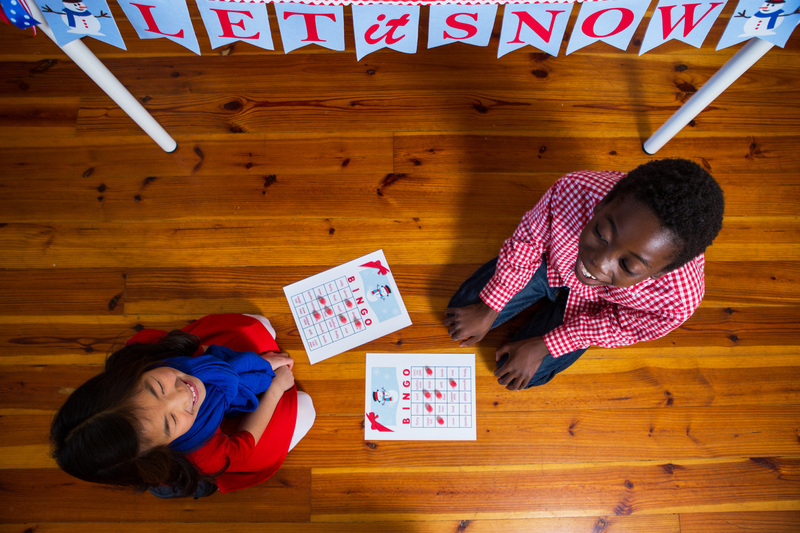 The listen for words like, “magic hat,” “chilly,” and corn cob pipe” to play along! Click here to access the bingo game and print it at home. As the famous line in “The Polar Express” reminds us, “There’s no greater gift than friendship,” so invite the neighbors over for a movie night to watch the holiday classic.